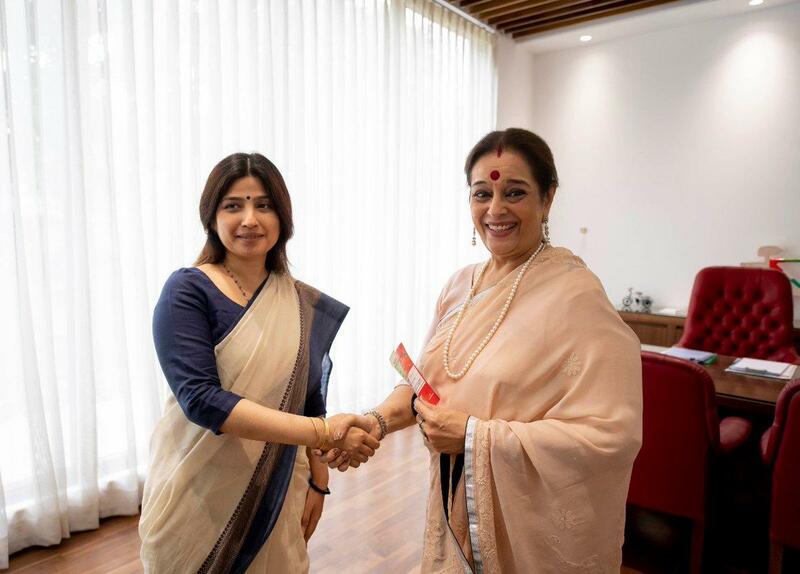 Lucknow (Uttar Pradesh) [India], Apr 18 (ANI): Poonam Sinha, wife of actor-turned-politician Shatrughan Sinha, filed her nomination from Lucknow Parliamentary Constituency on Thursday, two days after she joined the Samajwadi Party (SP). Lucknow (Uttar Pradesh) [India], Apr 17 (ANI): A day after Poonam Sinha, wife of actor-politician Shatrughan Sinha joined Samajwadi Party, chief Akhilesh Yadav on Wednesday said she will contest from Uttar Pradesh's Lucknow where ruling BJP has fielded Union Home Minister Rajnath Singh. 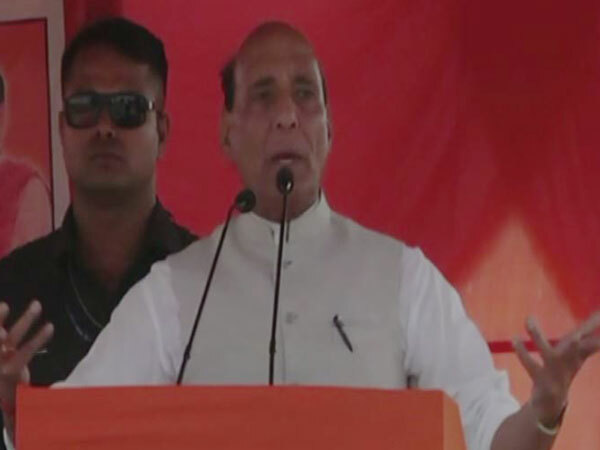 Lucknow (Uttar Pradesh) [India], Apr 16 (ANI): Union Home Minister Rajnath Singh on Tuesday said that his party will fight the Lok Sabha elections with full dignity against Poonam Sinha, who is contesting against him as SP-BSP-RLD candidate from Lucknow. New Delhi (India), Apr 16 (ANI): The Congress has fielded Acharya Pramod Krishnam from Lucknow against Union Home Minister Rajnath Singh. The party on Tuesday came out with a fresh list of candidates for three Lok Sabha constituencies. Lucknow (Uttar Pradesh) [India], Apr 16 (ANI): Flanked by several party leaders and scores of supporters, Union Home Minister Rajnath Singh on Tuesday filed his nomination for the Lok Sabha elections from Lucknow in Uttar Pradesh. Lucknow (Uttar Pradesh) [India], April 16 (ANI): Ahead of filing nomination for the Lok Sabha elections, Union Home Minister Rajnath Singh offered prayers at the city's revered Hanuman Setu temple. Fatehabad (Uttar Pradesh) [India], Apr 14 (ANI): Union Minister Rajnath Singh on Sunday said the alliance of Samajwadi Party and Bahujan Samaj Party (BSP) was formed to keep the two parties from being wiped out from Uttar Pradesh (UP) politics. 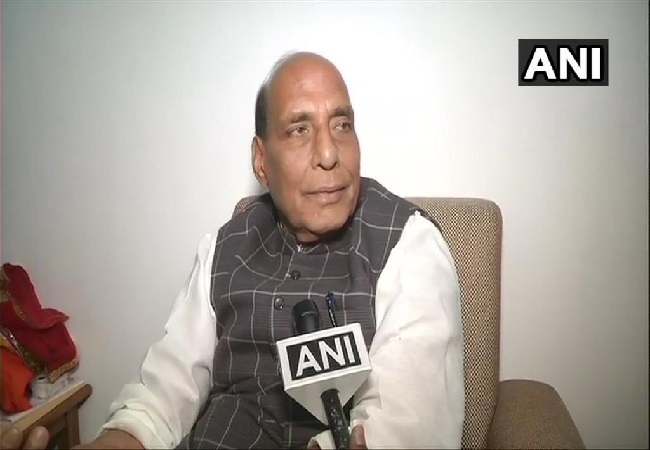 Bijnor (Uttar Pradesh) [India], Apr 14 (ANI): Union Minister Rajnath Singh on Sunday said the ministers of the BJP-led Central government would have stepped down from their posts had any corruption charges against them been proved even prima facie. 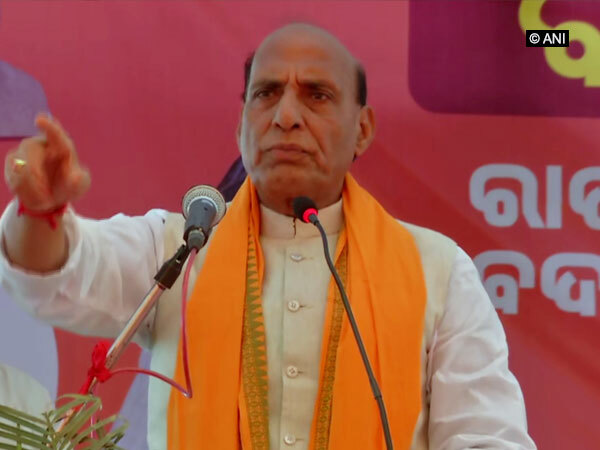 Botad (Gujarat) [India], April 13 (ANI): Union Home Minister Rajnath Singh on Friday slammed Congress for its stand on sedition law as mentioned in party's manifesto and asserted that BJP will make it even more stringent after forming a government for a second term.